Were you a child of the Eighties? If so, you’ll recall a number of glorious things from that terrifically colourful, bombastic decade: big hair, Dallas, rubix cubes, Wham!, Live Aid and – perhaps best of all – Pac-Man. Yes, forget Pong or Donkey Kong, Pac-Man was the video game that made the decade, as he ran around a maze on a black screen eating up as many pellets as he could find, and all while avoiding his four mortal enemies Blinky, Pinky Inky and Clyde. And if you spent far too much of your misplaced youth trying to make this loveable pie-chart lookalike reach the promised land that was level 255, then you’ll love the 80s retro Pac-man designs on offer at Gadget Inspector. 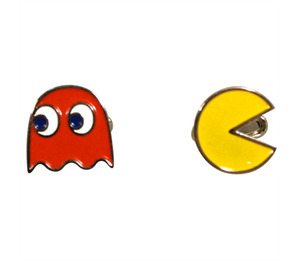 If you’re heading off to a wedding this autumn but don’t have the right finishing touch, these Pac-Man Cufflinks will undoubtedly give you that smouldering ‘geek-chic’ look. Or, for companionship during long journeys, choose the Pac-Man portable speaker which is battery-powered and weighs just 116g. It also ingeniously conserves power by switching on and off upon inserting and removing the audio cable from your iPod or audio device. A totally awesome option for parties and home use is the Pac-Man Bottle Opener, perfect for those old-school gamers who want to reminisce about the good old days with a collection of cold beers. And this Pac-Man is so much more than a bottle opener: it’s equipped with two small magnets, which sit in the back of its mouth, allowing him to stick conveniently to your fridge door. Plus, the magnets make the bottle tops stay in his mouth once they’ve been opened – no more finding old tops under the sofa three months later! Last but not least: you’re going to need protection from the elements this autumn, and what better way to stay dry than with this geek-tastic Pac-Man Arcade Poncho? Comic book fans! Do you wish you had somewhere cool to keep your cash, cards and coinage? Then step right this way! Gadget Inspector's awesome comic book wallets are the perfect presents for anyone who's crazy about comics or smitten with superheroes! Batman and Superman - two of the superest heroes of all time, we think you'll agree - are both here, and they both make great companions for your cash. 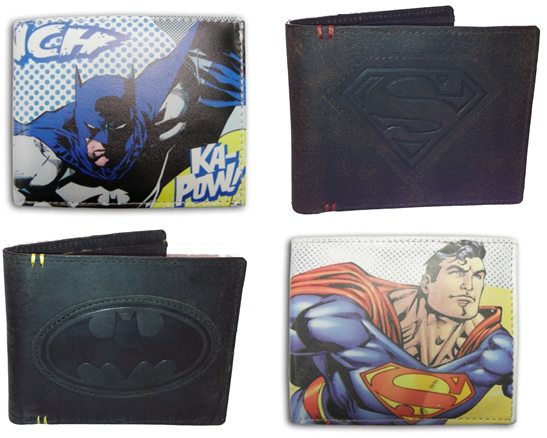 Whether you go for this colourful Superman Comic Wallet or this stylish, iconic Batman Logo Wallet, our super wallets will take care of your money 24/7! So if you want some super wallets with a difference, rest assured that Batman and Superman will look after your cash just as vigilantly as they look after their cities. Gadget Inspector's comic book wallets make great gifts, naturally, but they're just as great when you buy one for yourself! Our remote control vehicles can go anywhere! Have you checked out Gadget Inspector's brilliant Remote Control section? 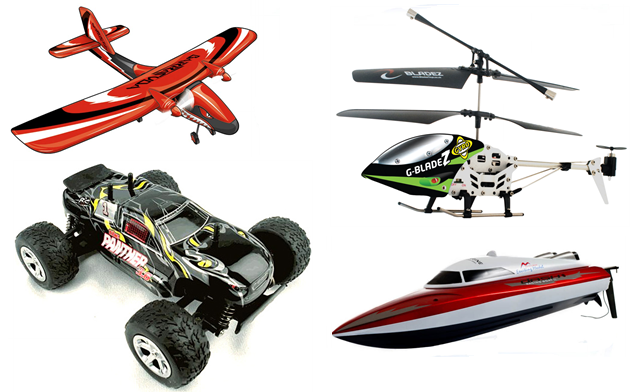 We've got some great RC cars, sure, but we haven't stopped there - we've also got RC planes, RC boats, RC helicopters, and RC pretty much any other vehicle you can imagine! Our RC vehicles really can go everywhere. No obstacle is too big for this formidable RC Truggy, although this authentic-looking RC Porsche 911 is probably a classier way to tear up the track. Still, if you're tired of terra firma, this super speedy Radio Controlled Boat is an awesome way to rule the waves. We've even got remote control vehicles that can fly - this Barracuda Remote Control Plane will give the seagulls something to worry about, and we've got loads of fantastic Remote Control Helicopters for you to choose from as well. So whether you're looking to conquer the land, sea, or sky, Gadget Inspector's Remote Control vehicles are the perfect way to get there. Just make sure you remember the batteries! Our novelty cufflinks will make your wrists look radical! Smart clothes can be pretty boring, but just because you're stuck in a white shirt and black trousers for five days a week doesn't mean you can't add a little bit of variety. Gadget Inspector's fabulously fun novelty cufflinks are great for injecting a bit of personality into your office attire and making your day at work that little bit more colourful! We have a great selection of cool cufflinks for neatly-dressed nerds, so whether you'd prefer some retro Pac Man Cufflinks or a stylish pair of iPhone Cufflinks [no longer available], your wrists are in safe hands with Gadget Inspector. 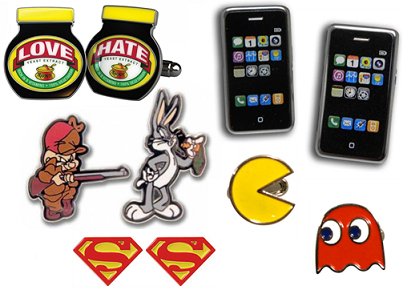 We've got Superman Cufflinks, Marmite Cufflinks [no longer available], and even Bugs Bunny & Elmer Fudd Cufflinks! There really is a pair of cool cufflinks for everyone. So smarten up your shirt and feed your inner geek today.Our cool cufflinks go brilliantly with any shirt, blouse or jacket, and a pair of novelty cufflinks makes the perfect gift for the sharp dresser in your life. Jedi stuff for masters and padawans alike! Star Wars is still one of our favourite film franchises here at Gadget Inspector, which should go some way to explaining why we've got so many Star Wars gadgets on our website. Still, we'd like to think that Star Wars gadgets are exactly what the people want, so if you fancy getting your mitts on some cool Jedi stuff, you're in the right place! 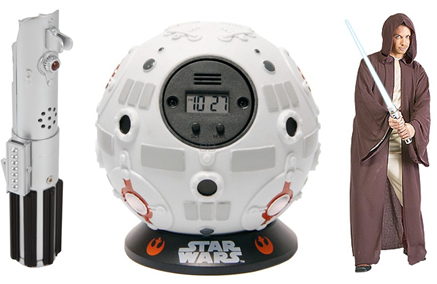 Start your day the Jedi way with this bouncy ball of timekeeping fun! If you've ever wanted to smash your alarm clock against the wall when it wakes you up in the morning, you'll love this particular clock - you turn off the alarm by throwing the ball against a wall. Fun, eh? Jedi stuff is the coolest stuff. Once you've hauled yourself out of bed, it's time to get dressed for the day. Everyone knows that true Jedi knights wear proper hooded robes, and fortunately our range of Jedi stuff includes just such a thing. It's sure to make you look just like the Jedi masters you idolise, and it's nice and warm and snuggly, too. And when the day is done and you've finished going about your Jedi business, there's always time to kick back and relax with a cold one. You're probably aware that the Jedi code doesn't allow you to use your lightsaber for anything as frivolous as opening a beer, but fortunately our pile of Jedi stuff has thrown up this lightsaber bottle opener that works just as well. That's just the tip of the Jedi stuff iceberg - we've got loads of other great gadgets kicking around the website, so check out our Star Wars range now and may the force be with you!